Software development for highly secure web application in the field of e-procurement/ e-tendering/ e-auction, being built on .net platform, for global markets with IPR owned by the company. The job would entail managing sales team, negotiating agreements and business alliances, preparing/ formulation of business plan and strategy. 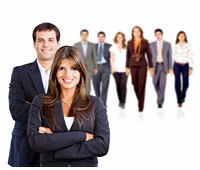 Candidate must have experience of direct selling to govt. and PSU's. Command over English language. Good personality with pleasant mannerisms. Systematic approach and professional work attitude. High achievement-orientation and customer-orientation. The job would involve selling (directly or through a team) high tech e- tendering software and services to government organizations and PSUs and corporates in India and other countries. Additionally providing Customer Support/ Client Servicing.